The “Car Wash” investigation began under Moro’s jurisdiction in Curitiba, exposing politicians of all political parties, but the most prominent among them in the socialist Workers’ Party (PT), of taking bribes from private contractors to secure infrastructure deals. 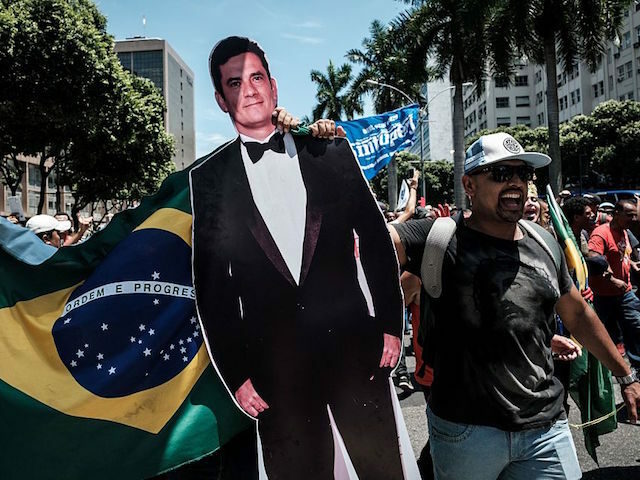 Moro’s decision to issue arrest warrants for the suspects – ranging in influence from low-level political operatives to former Brazilian President Luiz Inácio Lula da Silva – made him a cult hero among Brazilians during the wave of protests in 2016. The protests led to the impeachment and removal of Lula’s successor, Dilma Rousseff. According to Reuters, Bolsonaro told Brazilian outlets that he would like to promote Moro to Justice Minister and, if Moro declined, he would become Bolsonaro’s top pick to appoint to the Supreme Federal Tribunal (STF), the nation’s highest court. He emphasized that he had not had a chance to speak to Moro yet, but hoped to do so in the near future. Moro has declined to remark publicly on Bolsonaro’s comments. The Brazilian newspaper O Globo published a piece Tuesday citing anonymous sources, however, who say Moro “has not dismissed the possibility of accepting” a role in the Bolsonaro administration. The report seems to indicate Moro is more comfortable with the STF role than Minister of Justice. For that role, O Globo notes, Moro would likely have to wait until 2020, when Justice Celso de Mello will turn 75 years old and face compulsory retirement. O Globo goes on to claim that it has reason to believe, “through intermediaries,” that while Moro did not express any public preference for either candidate in Sunday’s run-off vote, he considers “the return of the PT to power unacceptable” after its leaders were exposed in establishing the Operation Car Wash corruption scheme. Moro became a popular icon in the 2016 protests, appearing on protest posters all over the country after repeatedly accepting requests for arrest warrants for high-profile politicians. Moro facilitated the investigation into a scheme unveiled largely in Curitiba, in which legislators and government agencies would agree to overpay on major government contracts if the private contractors in question kicked pack part of the funds to the politicians. Petrobras, the state-run oil corporation, was at the center of this scheme during Lula’s presidency; Dilma Rousseff was Minister of Energy at the time. 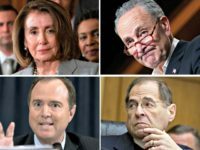 Caught in the scandal was the private firm Odebrecht, later revealed to have similar bribed politicians throughout the Western Hemisphere in what is believed to be one of the largest corruption schemes in history. Moro did more than sign warrants to aid the investigation, however. In one notable move in 2016, the judge released audio evidence from wiretaps that revealed Rousseff, then still president, has promised Lula that she would grant him immunity in the event that the prosecutors working with Moro found enough information to put him in prison. Moro released the audio shortly after Rousseff abruptly announced she would appoint Lula, her former boss, Head Minister, the Brazilian equivalent to White House chief of staff. The position grants its holder federal immunity from prosecution. The audio exacerbated protests attracting millions calling for Rousseff’s ouster. While no evidence has linked Rousseff to Operation Car Wash, Brazilian congressmen voted to impeach her over unrelated charges of fabricating economic data to attract foreign investment. A year later, Moro sentenced Lula da Silva to nearly a decade in prison on the Operation Car Wash charges. Lula appealed multiple times and received an even longer sentence of 12 years upon final appeal. At the time of Moro’s sentencing, Lula was leading the polls in the 2018 presidential race, far ahead of Bolsonaro. Moro did not only sentence PT politicians. Among his most notable orders was the arrest of Eduardo Cunha, at the time the Brazilian Speaker of the House. Cunha, of the centrist Brazilian Democratic Movement Party (PMDB), was the architect of Dilma’s impeachment and removal, organizing the votes necessary for her ouster.